For other uses, see Grand Place (disambiguation). The Grand Place (French, pronounced [ɡʁɑ̃ plas]; "Grand Square"; also used in English) or Grote Markt (Dutch, pronounced [ˌɣroːtə ˈmɑrkt] ( listen); "Grand Market") is the central square of Brussels. It is surrounded by opulent guildhalls and two larger edifices, the city's Town Hall, and the King's House or Breadhouse (French: Maison du Roi, Dutch: Broodhuis) building containing the Museum of the City of Brussels. The square measures 68 by 110 metres (223 by 361 ft). The Grand Place is the most important tourist destination and most memorable landmark in Brussels. It is also considered as one of the most beautiful squares in Europe, and has been a UNESCO World Heritage Site since 1998. 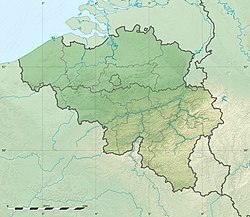 In the 10th century, Charles, Duke of Lower Lorraine constructed a fort on Saint-Géry Island, the furthest inland point at which the Senne river was still navigable. This was the seed of what would become Brussels. By the end of the 11th century, an open-air marketplace was set up on a dried-up marsh near the fort that was surrounded by sandbanks. 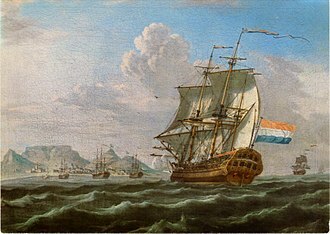 The market was called the Nedermerckt, meaning Lower Market in Old Dutch. The market likely developed around the same time as the commercial development of Brussels. A document from 1174 mentions a lower market (Latin: forum inferius) not far from the port on the Senne river. The market was well situated along the Causeway (Dutch: Steenweg), an important commercial road which connected the prosperous regions of the Rhineland and the County of Flanders. At the beginning of the 13th century, three indoor markets were built on the northern edge of the Grand Place; a meat market, a bread market, and a cloth market. These buildings, which belonged to the Duke of Brabant, allowed the wares to be showcased even in bad weather, but also allowed the Dukes to keep track of the storage and sale of goods, in order to collect taxes. 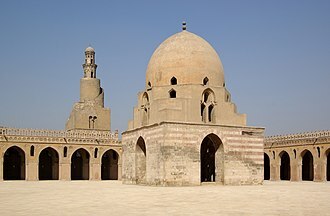 Other buildings, made of wood or stone, enclosed the Grand Place. Improvements to the Grand Place from the 14th century onwards would mark the rise in importance of local merchants and tradesmen relative to the nobility. As he was short on money, the Duke transferred control of mills and commerce to the local authorities. The city of Brussels ordered the construction a large indoor cloth market, similar to those of the neighbouring cities of Mechelen and Leuven, to the south of the square. At this point, the Grand Place was still haphazardly laid out, and the buildings along the edges had a motley tangle of gardens and irregular additions. The city expropriated and demolished a number of buildings that clogged the square, and formally defined its edges. Brussels' Town Hall was built on the south side of the Grand Place in stages, between 1401 and 1455, and made it the seat of municipal power. Its spire towers 96 metres (315 ft) high, and is capped by a 4-metre (12 ft) statue of Saint Michael slaying a demon or devil. To counter this symbol of municipal power, from 1504 to 1536, the Duke of Brabant ordered a large building to be constructed across from the Town Hall as a symbol of ducal power. It was erected on the site of the first cloth and bread markets, which were no longer in use, and it became known as the King's House (Middle Dutch: 's Conincxhuys) although no king has ever lived there. It is currently known as the Maison du Roi (King's House) in French, but in Dutch, it continues to be called the Broodhuis (Breadhouse), after the market whose place it took. Over time, wealthy merchants and the increasingly powerful guilds of Brussels built houses around the square. The Grand Place witnessed many tragic events unfold during its history. 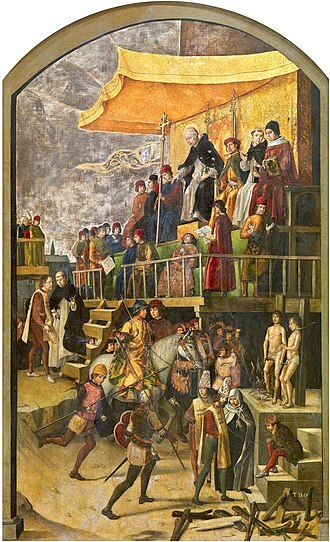 In 1523, the first Protestant martyrs Henri Voes and Jean Van Eschen were burned by the Inquisition on the square. Forty years later, the counts of Egmont and Horn, who had spoken out against the policies of King Philip II in the Spanish Netherlands, were beheaded in front of the Breadhouse. 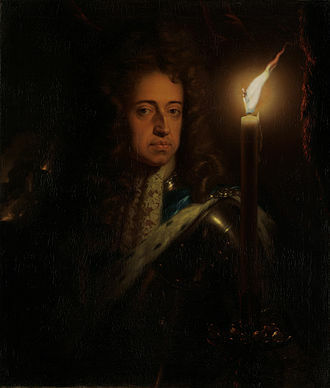 This triggered the beginning of the armed revolt against Spanish rule, of which William of Orange took the lead. 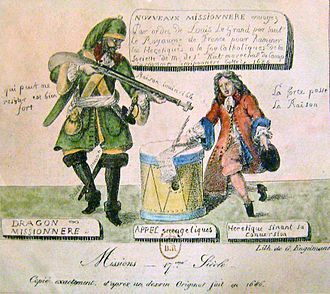 On 13 August 1695, a 70,000-strong French army under Marshal François de Neufville, duc de Villeroy, began a bombardment of Brussels in an effort to draw the League of Augsburg's forces away from their siege on French-held Namur in what is now southern Belgium. 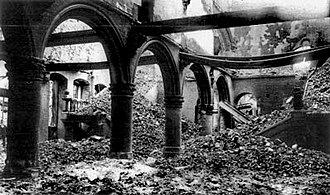 The French launched a massive bombardment of the mostly defenseless city centre with cannons and mortars, setting it on fire and flattening the majority of the Grand Place and the surrounding city. Only the stone shell of the town hall and a few fragments of other buildings remained standing. That the town hall survived at all is ironic, as it was the principal target of the artillery fire. The Grand Place was rebuilt in the following four years by the city's guilds. Their efforts were regulated by the city councillors and the Governor of Brussels, who required that their plans be submitted to the authorities for approval. This helped to deliver a remarkably harmonious layout for the rebuilt square, despite the ostensibly clashing combination of Gothic, Baroque and Louis XIV styles. During the following two centuries, the Grand Place underwent significant damage. In the late 18th century, Brabant Revolutionaries sacked it, destroying statues of nobility and symbols of Christianity. The guildhalls were seized by the state and sold. The buildings were neglected and left in poor condition, with their facades painted, stuccoed and damaged by pollution. By the late 19th century, a sensitivity arose about the heritage value of the buildings – the turning point was the demolition of L'Étoile guild house in 1852. Under the impulse of mayor Charles Buls, Brussels' authorities had the Grand Place returned to its former splendour, with buildings restored or reconstructed. In 1856, a monumental fountain commemorating the twenty-fifth anniversary of the reign of King Leopold I was installed in the centre of the square. It was replaced in 1860 by a fountain surmounted by statues of the Counts of Egmont and Horn, which was erected in front of the King's House and later moved to the Small Sablon. Thirty years later, during the Belle Époque, a bandstand was raised in its place. In 1885, the Belgian Labour Party (POB-BWP), the first socialist party in Belgium, was founded during a meeting at the Grand Place. At the start of World War I, as refugees flooded Brussels, the Grand Place was filled with military and civilian casualties. The Town Hall served as a makeshift hospital. On 20 August 1914, at 2 pm, the occupying German army arrived at the Grand Place and set up field kitchens. The occupiers hoisted a German flag at the left side of the Town Hall. The Grand Place continued to serve as a market until 19 November 1959, and it is still called the Great Market or Grote Markt in Dutch. Neighbouring streets still reflect the area's origins, named after the sellers of butter, cheese, herring, coal, and so on. In 1979, the Grand Place was bombed. In 1990, the square was pedestrianised and it is currently part of a large pedestrian zone in the centre of Brussels. The Grand Place was named by UNESCO as a World Heritage Site in 1998. 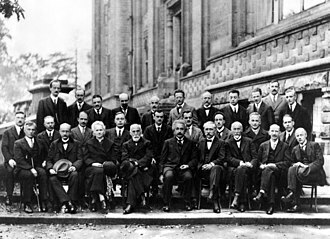 The place is now primarily an important tourist attraction. A number of guild houses have been converted into restaurants and brasseries. Other notable institutions include Godiva Chocolatier and the Maison Dandoy speculoos confectionery. One of the houses owned by the brewers' guild is home to a brewers' museum. The Grand Place was voted the most beautiful square in Europe in 2010. A survey by a Dutch website asked its users to rate different squares across Europe. Moscow's Red Square and the Place Stanislas in Nancy, France, took second and third place. The Town Hall (French: Hôtel de Ville, Dutch: Stadhuis) is the central edifice on the Grand Place. It was built in several stages between 1402 and 1455 and is also the square's only remaining medieval building. The architect and designer is probably the Burgundian Jean Bornoy with whom Jacob van Thienen collaborated. The young Duke Charles the Bold laid the first stone of the right wing in 1444. The architect of this part of the building is unknown. Historians think that it could be William (Willem) de Voghel who was the architect of the city of Brussels in 1452, and who was also, at that time, the designer of the Aula Magna of the palace of Philip the Good. The Gothic tower of 96 m (315 ft) is the work of the architect Jean van Ruysbroeck. 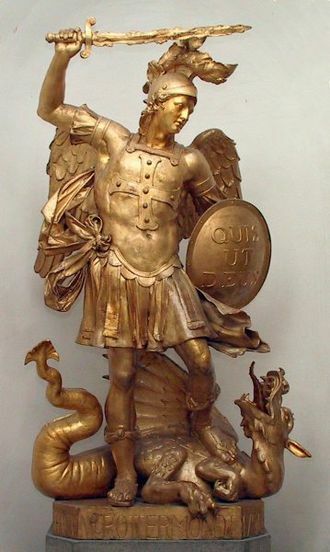 At its summit stands a 5 m (16 ft) tall statue of Saint Michael, the patron saint of Brussels, slaying a demon. The Town Hall is asymmetrical, since the tower is not exactly in the middle of the building and the left part and the right part are not identical (although they seem at first sight). An old legend known to the people of Brussels tells that the architect who designed the building committed suicide by jumping from the top of the belfry after realising his "mistake". In fact, the two parts were not built together. As early as the 12th century, the King's House (French: Maison du Roi) was a wooden building where bread was sold, hence the name it kept in Dutch; Broodhuis (Bread House or Bread Hall). The original building was replaced in the 15th century by a stone building which housed the administrative services of the Duke of Brabant, which is why it was first called the Duke's House, and when the same duke became King of Spain, it was renamed the King's House. In the 16th century, Holy Roman Emperor Charles V ordered to rebuild it in a late Gothic style very similar to the contemporary design, although without towers or galleries. Because of the damage suffered over time, especially during the bombardment of 1695, the city had the King's House rebuilt in 1873 by architect Victor Jamaer in the Gothic Revival style. The current building, whose interior was renovated in 1985, has housed the Museum of the City of Brussels since 1887. The Grand Place is lined on each side with a number of guild houses and a few private houses. In their current form, they are largely the result of the reconstruction after the bombardment of 1695. The strongly structured facades with their rich sculptural decoration including pilasters and balustrades and their lavishly designed gables are based on Italian Baroque with some Flemish influences. no 1 : Le Roy d'Espagne (Dutch: Den Coninck van Spaignien), House of the Corporation of Bakers, built in 1696. Originally, the three bays to the right of the entrance formed an independent house (Saint-Jacques), accessible by a door located on rue au Beurre/Boterstraat. The very dilapidated building was completely rebuilt in 1901–1902. It is decorated with busts of Saint Aubert (patron saint of bakers) and Charles II of Spain. no 2–3 : La Brouette (Dutch: Den Cruywagen), House of the Corporation of Greasers since the 15th century, built in stone in 1644. The facade partly resisted the bombardment of 1695 and was rebuilt in 1697 under the direction of Jean Cosyn. Decorated by the statue of Saint Giles (patron saint of greasers), it was restored in 1912. The left door opened into a now disappeared alleyway that led onto rue au Beurre/Boterstraat. no 4 : Le Sac (Dutch: Den Sack), House of the Corporation of Carpenters, whose tools decorate the facade since the 15th century. Built in stone in 1644, partly spared by the bombardment, it was rebuilt by the carpenter Antoine Pastorana in 1697. This house was restored in 1912 by the architect Jean Seghers. Nowadays, the House of the Belgian Master Chocolatiers is located in this building. no 5 : La Louve (Dutch: De Wolf), House of the Oath of Archers, built in 1690 by Pierre Herbosch. In 1696, the facade was rebuilt with a horizontal cornice, surmounted by a base where a statue was placed of a Phoenix rising from the ashes, symbol of the reconstruction of the city after the bombardment. The decorated pediment of Apollo was restored in 1890–1892 by the architect of the city of Brussels, Victor Jamaer, according to the original drawings. The bas-relief represents Romulus and Remus suckling the she-wolf. no 6 : Le Cornet (Dutch: De Hoorn), House of the Corporation of Boatmen since the 15th century, rebuilt in 1697 by Antoine Pastorana who drew its gable in the shape of a ship stern. The sculptures are by Pierre van Dievoet, and by a contract passed on 3 April 1697, the deans of the Trade of Boatmen entrusted Pierre van Dievoet with the execution of the whole sculpting of the facade. The building was restored from 1899 to 1902.
no 7 : Le Renard (Dutch: De Vos), House of the Corporation of Haberdashers since the 15th century, rebuilt in 1699. It contains bas-reliefs above the ground floor, allegorical sculptures of the four continents, and at the top, a (now disappeared) statue of Saint Nicholas, patron of haberdashers. no 8 : L'Étoile (Dutch: De Sterre), House of the Amman, rebuilt in 1695. It was demolished in 1852 with the whole side of the street which corner it occupies, and which was then called rue de l'Étoile/Sterrestraat, to allow the passage of a horse-drawn tramway. Rebuilt in 1897, at the initiative of Mayor of Brussels Charles Buls, by replacing the ground floor with a colonnade, it became an annex to the neighbouring house. The street was renamed in honour of the mayor and a plaque is affixed under the house in tribute to the latter and to the builders of the Grand Place, next to the monument to Everard t'Serclaes. no 9 : Le Cygne (Dutch: De Zwaan), bourgeois house rebuilt in 1698 by financier Pierre Fariseau whose monogram is placed in the centre of the facade. It was bought in 1720 by the Corporation of Butchers who modified the upper part. Restored between 1896 and 1904. The founding congress of the Belgian Workers' Party was held there in April 1885. It is also in this house that Karl Marx wrote the Manifesto of the Communist Party. no 10 : L'Arbre d'or (Dutch: Den Gulden Boom), House of the Corporation of Brewers (now converted into a brewery museum). It is dated 1696 and was restored in 1901. During the construction of this house, the architect Guillaume de Bruyn pronounced the famous sentence: "You had the conscience to work for eternity! ". This house is adorned with sculptures by Marc de Vos and Pierre van Dievoet and is capped by an equestrian statue of Charles Alexander of Lorraine, which was installed in 1752 to replace another of Maximilian II Emmanuel of Bavaria, governor during the reconstruction of Brussels. no 11 : La Rose (Dutch: De Rose), private house rebuilt in 1702 and restored in 1901.
no 12 : Le Mont Thabor (Dutch: Den Bergh Thabor), private house rebuilt in 1699 and restored in 1885.
n° 12a (formerly no 2–4 rue des Chapeliers/Hoedenmakersstraat) : House of Alsemberg (French: Maison d'Alsemberg) or House of the King of Bavaria (French: Maison du Roi de Bavière; Dutch: De Koning van Beieren), private house built in 1699 with a blue stone portal bearing the mark of the stonemason and a large oculus on the gable. no 13–19 : House of the Dukes of Brabant (French: Maison des Ducs de Brabant, Dutch: Hertogen van Brabant), set of seven houses grouped behind the same monumental facade designed by Guillaume de Bruyn and modified in 1770, so called because of the busts of the Dukes of Brabant which adorn it. It was restored between 1881 and 1890.
no 16 : Le Moulin à vent, House of the Corporation of Millers. no 17 : Le Pot d'étain, House of the Corporation of Cartwrights. no 18 : La Colline, House of the Corporation of Sculptors, Masons, Stone-cutters and Slate-cutters. no 20 : Le Cerf (Dutch: De hert or De heert), private house. The facade was rebuilt in 1710 and restored in 1897.
no 21–22 : Joseph et Anne (Dutch: Josef en Anna), two private houses under a single facade. 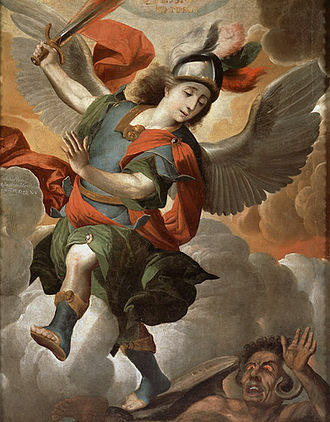 The gable, destroyed in the 19th century, was rebuilt in 1897 after a watercolour by Ferdinand-Joseph De Rons from 1729.
no 23 : L'Ange (Dutch: Den Engel), private house of the merchant Jan De Vos, rebuilt in 1697 after a drawing by Guillaume de Bruyn who restored the Italian-Flemish style. The altered facade was reconstructed in 1897 according to ancient images. no 24–25 : La Chaloupe d'or (Dutch: De gulden boot), House of the Corporation of Tailors, designed by William de Bruyn in 1697. It was destined to become the centre of a monumental facade covering the entire north-eastern side, which was refused by the owners of neighbouring houses. It is capped by the statue of Saint Homobonus of Cremona, patron saint of tailors. The sculptures are the work of Pierre van Dievoet. The current bust of Saint Barbara above the door is the work of Godefroid Van den Kerckhove (1872). no 26–27 : Le Pigeon (Dutch: De duif) was the property of the Corporation of Painters since the 15th century, who sold it in 1697 to the stonemason and architect Pierre Simon, considered to be the designer of the facade. It housed Victor Hugo during his stay in Brussels and was restored in 1908.
no 28 : Le Marchand d'or (Dutch: De Gulden Koopman), private house of the tiler Corneille Mombaerts, rebuilt in 1709 and restored in 1882.
no 34 : Le Heaume (Dutch: Den helm), private house. According to Guillaume Des Marez, the architect is Pierre van Dievoet. It was restored in 1920.
no 35 : Le Paon (Dutch: De pauw), surmounted by the characteristic gable of 18th century houses. It was restored in 1882.
no 36–37 : Le Petit Renard (Dutch: t Voske) (or Le Samaritain) and Le Chêne (Dutch: Den Eyck), two houses dated 1696 and restored in 1884–1886. no 38 : Sainte-Barbe (Dutch: In Sint Barbara), private house built in 1696.
no 39 : L'Âne (Dutch: Den Ezel), private house restored in 1916. Festivities and cultural events are frequently organised on the Grand Place, such as light and sound shows during the Christmas period, or concerts in the summer. Among the most important and famous are the Flower Carpet and the Ommegang. Every two years in August, an enormous flower carpet is set up in the Grand Place for a few days. A million colourful begonias are set up in patterns, and the display covers a full 24 by 77 metres (79 by 253 ft), for area total of 1,800 m2 (19,000 sq ft). The first flower carpet was made in 1971, and due to its popularity, the tradition continued, with the flower carpet attracting a large number of tourists. At the beginning of July, the Ommegang, one of the largest historical re-enactments in Europe, takes place on the Grand Place. The second and third series of the BBC television series Secret Army were filmed there in 1978 and 1979, specifically around the building that is now Maxim's restaurant. ^ In this case, the French word place is a "false friend", and the correct counterparts in English are "plaza" or "town square". ^ a b "Welcome - Brussels City Museum". www.brusselscitymuseum.brussels (in French). Retrieved 2018-01-19. ^ a b "Museums and art centres". www.brussels.be. Retrieved 2018-01-19. 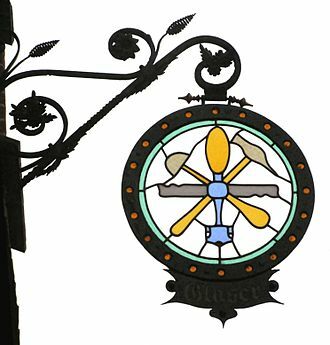 ^ a b "Brussels City Museum - Exhibitions, Hours, Tickets". www.brussels.info. Retrieved 2018-01-19. ^ a b "Most Beautiful Squares in Europe". stedentripper.com. Retrieved 2010-11-23. ^ "The 10 MOST BEAUTIFUL SQUARES in the World | The Grandest Monumental City Squares and Town Plazas". www.ucityguides.com. Retrieved 2018-01-19. ^ "The world's most beautiful city squares - perfect places for people-watching". The Telegraph. Retrieved 2018-01-19. 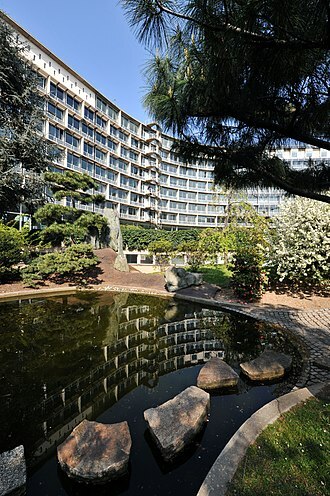 ^ a b Centre, UNESCO World Heritage. "La Grand-Place, Brussels". 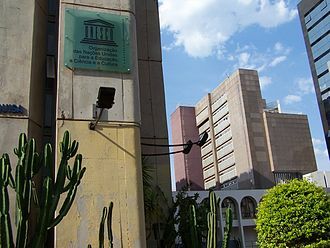 whc.unesco.org. Retrieved 2018-01-12. ^ a b c d e "History of the Grand Place of Brussels". Commune Libre de l'Îlot Sacré. Retrieved August 25, 2009. ^ "La Grande-Place de Bruxelles" (in French). bruNET. May 17, 2007. Retrieved October 9, 2009. ^ a b c d "Occupation of Brussels on 20 August 1914". City of Brussels. City of Brussels. Archived from the original on September 17, 2016. Retrieved September 3, 2016. ^ "Pedestrian zone". www.brussels.be. Retrieved 2018-01-12. ^ "Giant Flower Carpet on the Grand Place in Brussels Pays Tribute to Turkish Immigrants". International Business Times UK. Retrieved 2016-02-06. Wikimedia Commons has media related to Grand Place (Brussels). The Sablon or Zavel is a neighbourhood and hill in the historic upper town of Brussels. The Sablon lies near the Mont des Arts neighbourhood, and lay not far outside the first city walls of Brussels and it was originally an unused open space, with areas of wetlands and sand, where a hermit made his home. The words sablon and zavel both mean a fine-grained sand, halfway between silt and sand, the Saint John Hospital used the area as a cemetery in the thirteenth century, having run out of space in their own cemetery. In 1304, the sold the land to the crossbowmens guild. They built a chapel on the site dedicated to Our Lady, completed in 1318. The chapel became renowned and began to draw pilgrims and the pious when, in 1348, the statue of Mary was solemnly placed in the chapel and venerated as the patron of the guild. The guild promised to hold a procession, called an Ommegang. 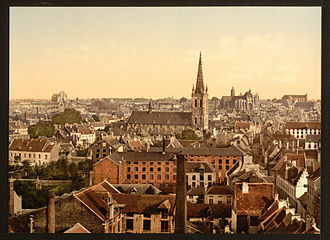 This Ommegang of Brussels developed into an important religious and civil event in the calendar of Brussels, in the fifteenth century, the neighbourhood began to enlarge substantially. The chapel was rebuilt as the larger and more elegant Church of Our Blessed Lady of the Sablon, in 1470, Duke Charles the Bold charged a body with the creation of a street running from his nearby Coudenberg Palace to the church. Governor Margaret of Austria made it the site of her religious devotions as well, in 1530, it saw the greatest July procession in its history. These symbols of royal favour would ensure the prosperity of the Sablon area. In the sixteenth century, the most prominent noblemen established themselves on the upper Sablon and on rue aux Laines. The Egmonts, the Culemborgs, the Brederodes and the Mansfelds were the first, and the De Lannoys, the De Lalaings, the Thurn und Taxis, and the Solres joined them. The result was that by the century, the Sablon area had grown to become the most aristocratic. In 1566 the Culemborg mansion on rue des Petits Carmes/Karmelietenstraat was the site of the drafting of the Compromise of Nobles which ultimately led to the Dutch Revolt. To eliminate any trace of this act against the king. The Zenne is a small river that flows through Brussels, left tributary of the Dijle/Dyle. Its source is in the village of Naast near the municipality of Soignies and it is an indirect tributary of the Scheldt, through the Dijle and the Rupel. It joins the Dijle at Zennegat, in Battel in the north of the municipality of Mechelen, the Woluwe is one of the tributaries of the Zenne. 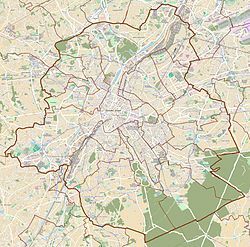 In total the Zenne is 103 kilometres long, in the centre of Brussels, the Zenne was completely covered up and major boulevards were built over top in the 19th and early 20th centuries. It is still visible in the outskirts of Brussels and outside the city, the Zenne was notorious for being one of Belgiums worst polluted rivers, since all effluents from the Brussels Capital Region emptied into it without treatment. In March 2007, the completion of new treatment plants began to remediate this problem. However, in December 2009, the plant Brussels Nord of Acquiris was temporarily and abruptly shut down, the yellow iris became used as the emblem of the Brussels-Capital Region due to its habitat in the marshy plains around the river. 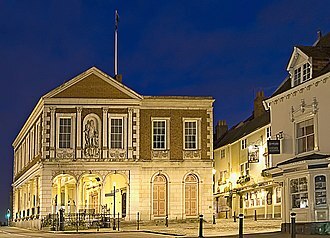 A guildhall is either a town hall, or a building historically used by guilds for meetings and other purposes, in which sense it can be spelled as guild hall and may be called a guild house. It is the official or colloquial name for many of these specific buildings, in the United Kingdom, outwith Scotland, a guildhall is usually a town hall, in the vast majority of cases, the guildhalls have never served as the meeting place of any specific guild. A suggested etymology is from the Anglo Saxon gild, or payment, for the Scottish municipal equivalent see Tolbooth. They were often elaborate, ornate buildings, demonstrating the guilds status, occasionally a single hall would be used by all the citys guilds. The guildhall was used as the offices of the deken and other guild officers, the guild members would occasionally be called to the guildhall for meetings on important matters. 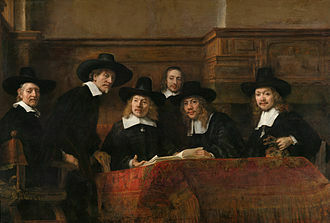 In Amsterdam, every guildhall had its gildeknecht, often the guilds youngest member, every evening, the guild brothers gathered in the tavern room of the guildhall to discuss the events of the day while the gildeknecht served beer. Charles was the Duke of Lower Lorraine from 977 until his death. Born at Reims in the summer of 953, Charles was the son of Louis IV of France and Gerberga of Saxony and he was a sixth generation descendant of Charlemagne. When his father was captured by the Normans and held, both his sons were demanded as ransom for his release, queen Gerberga would only send Charles, who was handed over and his father was released into the custody of Hugh Capet. In or before 976, he accused Lothairs wife, daughter of Lothair II of Italy, of infidelity with Adalberon, Bishop of Laon. 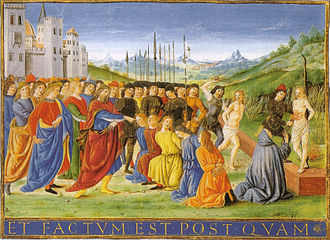 The council of Sainte-Macre at Fismes exonerated the queen and the bishop, Otto promised to crown Charles as soon as Lothair was out of the way and Charles paid him homage, receiving back Lower Lorraine. In August 978, Lothair invaded Germany and captured the capital of Aachen. In October and Charles in turn invaded France, devastating the land around Rheims, Soissons, in the latter city, the chief seat of the kings of France, Charles was crowned by Theodoric I, Bishop of Metz. Lothair fled to Paris and was there besieged, but a relief army of Hugh Capets forced Otto and Charles to lift the siege on 30 November. Lothair and Capet, the tables turned once more, chased the German king and his back to Aachen. Around 979, Charles transferred the relics of Saint Gudula from Moorsel to the Saint Gaugericus chapel in Brussels and this is generally accepted as the time when the city was founded. Charles would construct the first permanent fortification in the city, doing so on that same island, as he had been a vassal of Lothair, Charles acts on behalf of Otto were considered treason and he was thereafter excluded from the throne. 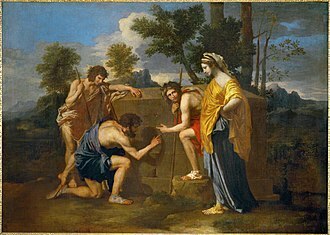 On Lothairs death, the magnates elected his son Louis V and on the latters death, the House of Capet came to the throne over the disgraced and ignored Charles. 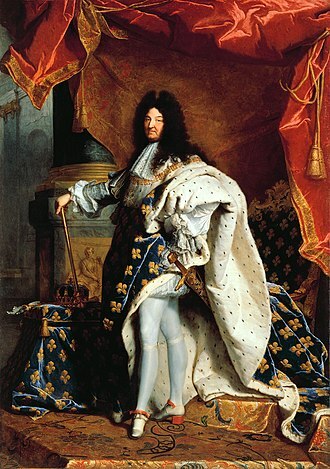 Charles unexceptional marriage and his lack of wealth are two of the reasons he was denied the throne, Charles made war on Hugh, even taking Rheims and Laon. However, on Maundy Thursday 991, he was captured, through the perfidy of the Bishop Adalberon, and was imprisoned by Hugh in Orléans and he was succeeded as Duke of Lower Lorraine by his son Otto. The Maison du Roi/Broodhuis building housing the museum. Charles Buls fountain, Grasmarkt/Rue du Marché aux Herbes-Agora Square, Brussels.